Can you believe it’s almost the end of the year? I honestly can’t believe it. This year has flown by. It has been the hardest, yet most fulfilling year of my entire life. Just because it’s the end of the year, it doesn’t mean that you need to give up on the goals that you haven’t achieved. If there are some goals for this year that you haven’t achieved yet, you still have time. It’s just crunch time. 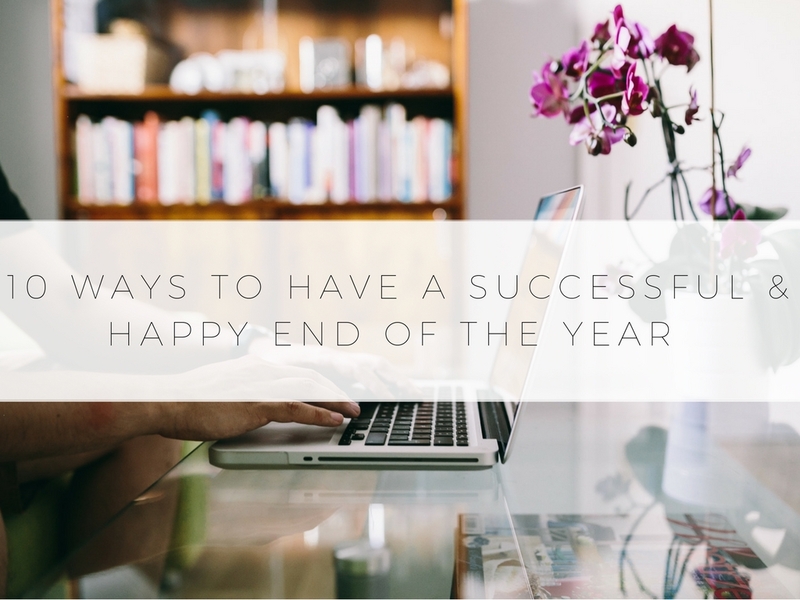 Keep reading to learn 10 ways to have a successful & happy end of the year. First of all, I am a firm believer of the law of attraction & I believe you should be too. If you want to have a happy & successful end of the year, then you have to believe it. If you don’t think you are going to have a great end of the year, then you are not going to have a happy & successful end of the year. Our mindset is so important. So take a deep breath. Breathe in & breathe out. 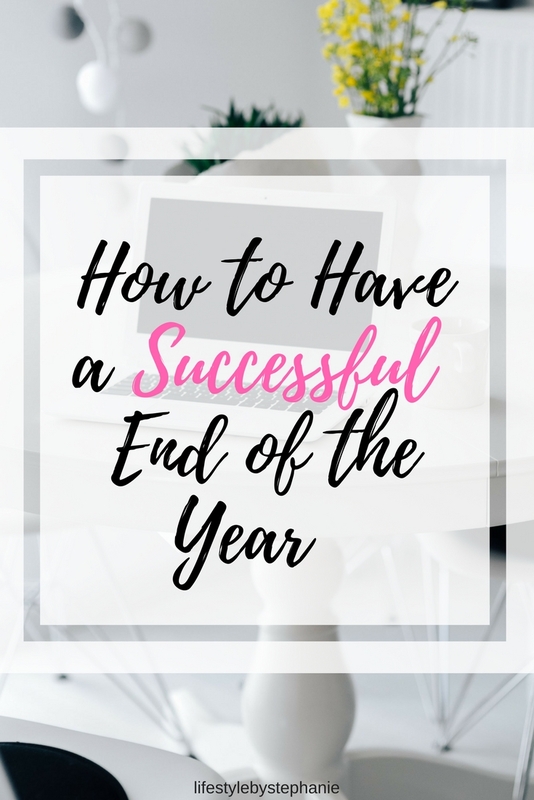 Say out loud or in your head “I’m going to have a fulfilling, happy, & successful end of the year.” Did you do it? Perfect. Now it’s time to learn the steps that you need to take for it to happen. It is extremely important to create budget for yourself for the holidays. Write down how much you want to spend on gifts for others. Then write down how much you want to spend on food, fun, etc. The holidays are a very expensive time. It is also a time when many people are stressed. They are stressed about money & they are stressed about getting everything done. Take the time to create budget for yourself so that you can eliminate that stress. As I mentioned in the paragraph above, it is so easy to get wrapped up in the craziness of the holiday season. This is a stressful time, but it is also a special time of year. You are spending a lot of time with family & friends. Every single day, take time to reflect on the day & write down three things that you are grateful for. This will calm your mind & make you aware of the positive things that happened during the day. It is a great way to stay positive. The end of the year is an extremely busy time of year. We are working, getting ready for the holidays, planning parties & more. It is extremely easy to get burnt out. In order to prevent getting burnt out, it is so important to schedule some time for self-care. It doesn’t have to be a long time. You can schedule 10-15 minutes for a bath or do to a face-mask. If you are a guy reading this, then you can schedule some time for video games. After you take the time to take care for yourself, you will feel refreshed & ready to have a happy, successful end of the year. Stress = unhappiness. In order to maintain your happiness during the holiday season, get ahead on your holiday shopping. I recommend making a list & trying to get your holiday shopping done a month or more ahead. Once it’s all done, you’ll be so happy. How did your year go? What worked? What didn’t work? Take some time to reflect on your year. Set up a comfortable space & grab yourself a notebook. Then, just write. Write about what you made you happy this year. Write about your goals. Reflect on what you should be doing differently. Reflect on what tasks you could work harder on. Then, take action. After reflecting on the year so far, make a list of the changes that you would like to make for next year. Now, here’s the important part. Don’t wait to make the changes next year. Make the changes now. Work on the goals now. The most successful people on this Earth don’t wait to be successful until the following year. They work on their goals today. 7. Endorphins Make People Happy – So Workout! If you take the time to workout, then you are automatically taking a step towards a happier end of the year. Working out is also a great form of self-care so take a walk, go for a run at the gym or sign up for a new work out class. Although bathing suit season is over, working out is so important for our health & wellbeing. Sometimes we get wrapped up in the holiday season & we forget to treat ourselves. It doesn’t have to be something big. You can treat yourself to a yummy Starbucks drink or a new notebook. Make sure you give a gift to yourself because you work so hard during the year & you truly deserve to give a gift to yourself. The holidays might also be a time of missing a family member or missing a friend. An important part of self-care is allowing yourself to feel your feelings. If you push the feelings away, it is not healthy. Allow yourself to take some time to feel what you are feeling, but you must keep going. You must not give up on life & happiness. If your holiday traditions bring you happiness, keep up with those traditions. If you have a family of your own, experience your holiday tradition with your family. Indulging in the traditions of the holiday season that make you happy is key to happiness for the end of the year. What is your favorite way to stay motivated & have a happy, successful end of the year? Let me know in the comments below! 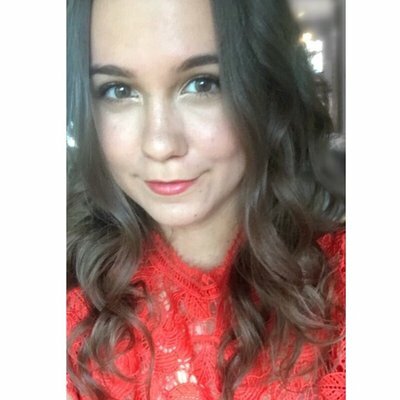 You have some great reminders here. I like to keep a consistent workout going throughout the holidays as it improves my mood and is a form of self care during a chaotic time! I think this is so important and something we all need to be reminded of (on a DAILY basis) this holiday / silly season when it can all get so stressful. I love the suggestions on keeping a gratitude journal and making self care a priority!